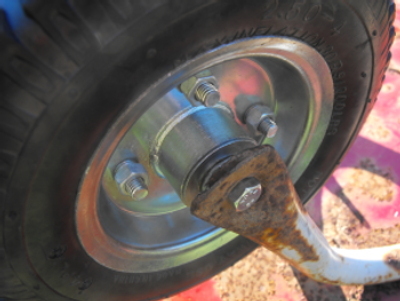 The old wheel shaft rust was holding hard and required cutting. The Harbor Freight tire was a tight squeeze with the spacer and washers. 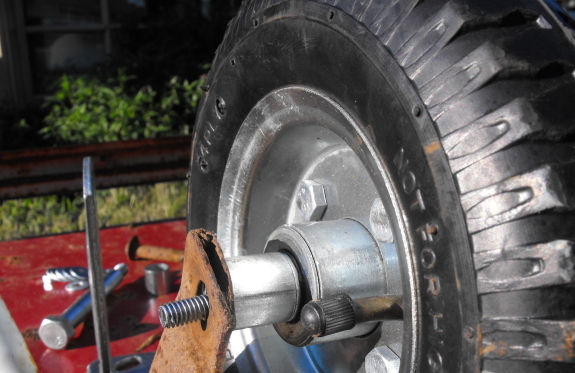 I used a slightly smaller bolt to avoid making the holes on the wheel holder bigger.